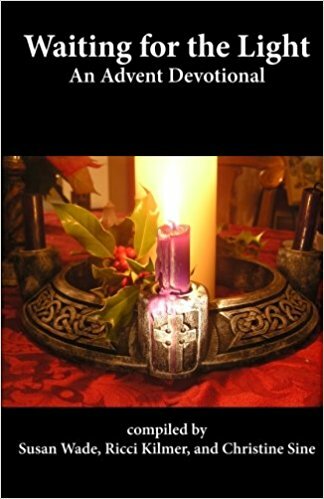 A PDF downloadable version of the book: Rest in the Moment. The twelve meditations in this beautiful full color book are designed to provide moments of refreshment throughout the day or week. 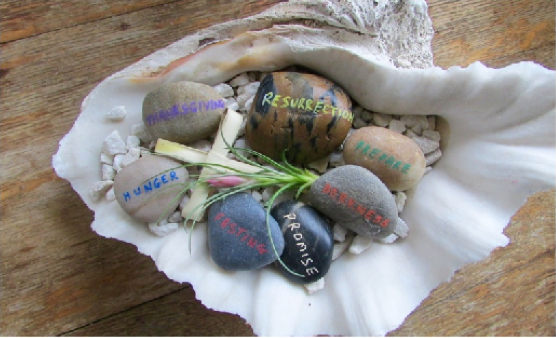 The blending together of prayers, reflections, questions and photos invite us to pause, reset and refresh ourselves. 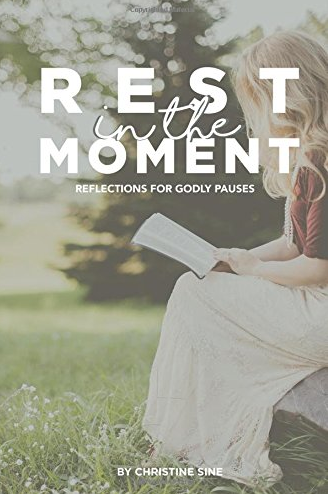 Rest is such an important part of the rhythm of our lives, not just a weekly rest of Sabbath, but pauses of rest throughout the day to reset our focus and renew our connections to God. Even my fitbit tells me that I should relax for 2-3 minutes at regular intervals. We all need times when we pause for refreshment and renewal. 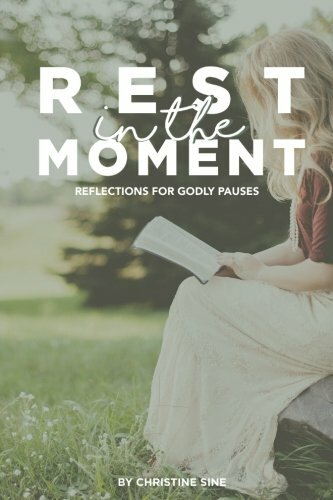 Just as the night calls us to rest after a busy day and the winter calls us to rest after busy seasons of planting growth and harvest, so too does God beckon us to rest after hours of busy work. 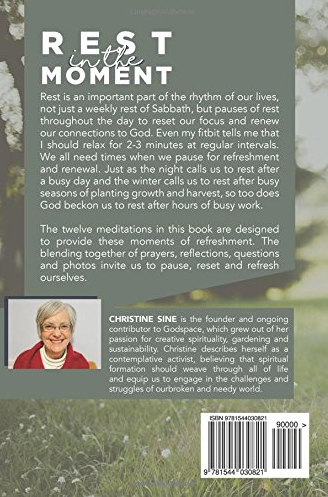 CHRISTINE SINE is the founder of and ongoing contributor to the popular blog on spirituality, Godspace, which grew out of her passion for creative spirituality, gardening and sustainability. 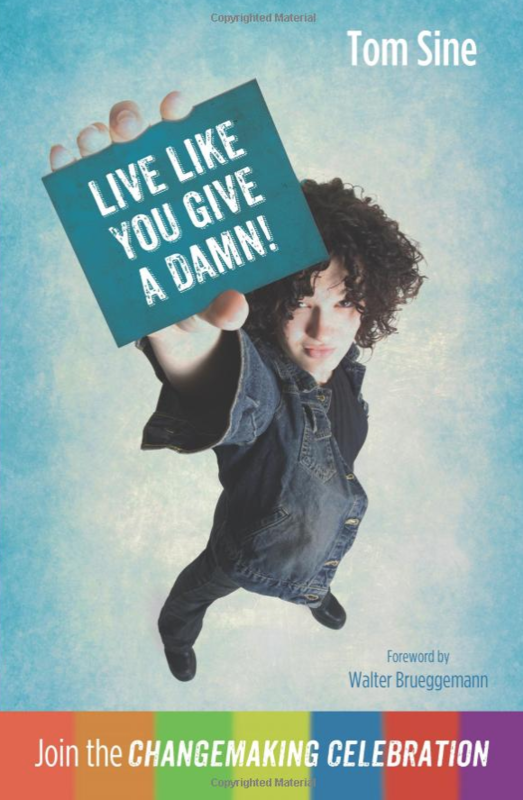 Christine describes herself as a contemplative activist, believing that spiritual formation should weave through all of life and equip us to engage in the challenges and struggles of our broken and needy world. Please note, we do receive a small amount of commission if you order from this link.